← What a great idea for a Birthday/Christmas present for a mountaineer? In 1959 an Avro Tudor crashed on Mount Suphan 14,547 feet in winter it had secret equipment for Woomera Rocket Test site in Australia. The RAF Mountain Rescue Team from Cyprus were called in to find it. It was a hugely epic call-out. It was the Mountain Rescue Teams from Nicosia in Cyprus that was called to assist, it was the teams first serious call-out and occurred at Altitude over 14000 and in winter. The Avro Tudor was on charter from Air Charters Ltd of London and en-route to Australia carrying top-secret equipment for Woomera. It went missing on the Ankara to Bahrain section on April 25th. It was carrying 12 men. The Tudor sent a message when it was near Lake Van a large lake surrounded by mountains near the Soviet Armenian Border.After that there was silence it did not arrive at Bahrain next day. There was a huge search by various aircraft over 50,000 hours of flying was involved. On the 29 th of April a Hastings played on a hunch and the aircraft was spotted near the summit, less than 4 hours later the Cyprus team was airborne. The fact that the aircraft was carrying secret equipment that the RAF Team should reach the crash site as soon as possible. The Tudor was a total wreck and there was no signs of life, indeed at that altitude and after 5 nights none could be expected. The Team flew to an airfield in Turkey and had a huge drive 160 miles to Mount Suphan. From 60 miles away the mountains looked like a huge featureless Cairngorm Plateau. They reached the village of Nursencik at 6500 feet on the shores of Lake Van. Next morning 4 experienced Team Members would go to the summit, they were Jack Emmerson, Whelan, Bottomer and Costall all were experienced mountaineers with various aircraft technical skills. There were 9 in support, carrying tents, clothing and food. The only maps they had were aeronautical charts 16 miles to the inch. It was hard work but they made 11000 feet in poor conditions and the batteries in the radios froze. Next day they had a real difficult day and Hastings flew over and dropped two canisters at the crash site. They climbed the West peak and too their dismay the East Peak was over 2 mile and a drop off about 1000 feet. A helicopter had dropped another party at 11000 feet on the West peak with they had no tents, they were also too far to the West. What ensued was a very difficult period where eventually both groups met up after bring another tent from the first nights camp site. They had six men squeezed into 2 tents , the rest went back after a huge day moving a tent higher up the mountain. Next day they located the wreckage and the bodies and tried to destroy any secret equipment left. They had taken 2 hours to climb the last 800 feet. They found the top like a saucer-shaped depression like a volcano. It is hard to imagine their thoughts? A poor map of Mount Suphan in Turkey will put up a better one when I get home. What a Call – out that was and next year there was a similar epic again in Turkey. I am planning a trip to Mt Suphan next year 2014 to visit the site and the graves, anyone fancy an expedition to Turkey get in touch! It is a big hill. 2015 Dec update: The area is a bit dangerous so I doubt I will be able to visit this area until the world becomes a safer place a sad outcome. 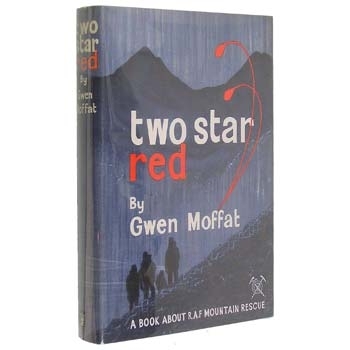 The intention of these articles is to highlight the incredible work done by RAF Mountain Rescue troops over the years. This entry was posted in Aircraft incidents, Books, Mountain rescue, Mountaineering, Recomended books and Guides, Views Mountaineering. Bookmark the permalink. My wife’s aunt worked as a scientist at Woomera around that time! We’ll be taking a trip out there next year in the 4-wheel drive vehicle…! Sounds great – I hope to go to Turkey next year! I am trying to contact George Murphy, Gordon Hercod and Dereck Bottomer – you will recognize their roles in this amazing story. Thank you for the posting, and especially for the intriguing essay. Your account of the 1959 Turkish Airlines crash at Mt Suphan and attempted rescue was a Gripper! As a boy I lived near Ringway (now Manchester) Airport. I was taken there to attend an Air Show. Being 1945 this was the first show since ceasing hostilities. There was an outstanding demonstration of fairly low-level parachuting by troops from camouflaged DC-3s still exhibiting their sets of triple wing stripes fresh from The Invasion. 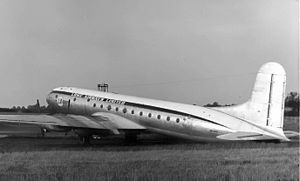 The post war British Aircraft industry was repesented by an Avro Tudor. To a young lad I was more than impressed as I had never been so close to such a large and magnificent machine. We were able to walk around it and were taken in by its polished Aluminum finish. After some time of kicking tires a tractor was used to back it into a Hanger. When inside the Hangar doors were closed at a seemingly imperceptably slow speed until fully shut hiding the plane from view. Quite a sight! One thing that puzzled me at the show was a huge mass of bicycles each was standing up and the stack was about 50ft or 60ft square. It must have taken ages to untangle each one and that so many had attended by bike. Thought this might have tied in with your story involving The Tudor. Best wishes to you Wally and to your continued endeavours. I hope to visit the Mountain Next year! SUPPLIED BY MYSELF AS I AM SURE FRANK CARD WILL CONFIRM. You seem to have a bit of a problem I was writing about these incidents as a history of RAF MRT I was hoping to visit the crash site next year.I never stated that I was at his incident and did not join MRT UNTIL 1972. I was never even in the RAF when this incident happened! It was meant to be a look at a huge incident in our history and nowadays only a few people knew had what happened! I was at many aircraft crashed in my career many of the biggets in my 37 years carreer and was a Team Leader at RAF Kinloss and RAF Leuchars. I think you have got a bit mixed up or not read the articles and all I wanted to do was highlight what agreat job you all did and share our history? Unfortunately I doubt I will be able to visit the site due to the political and the wars nearby! Never ever was it the intention to say I was there! Just highlight what a wild call – out that would have been and how impressed I am by men like you! My apologises if I have upset you that was not the intention! I await your reply! Abb; I think there might be a little misunderstanding somehow; Mr “Heavyhalley” never associated himself personally with that effort. He is – fortunately for many folk – the devoted researcher/compiler/font of group history and wisdom (apart from all his other fine works to protect, develop and honor the MR). I saw George two months ago; and am now over-due to write my Christmas letter to him. I will pass on your best wishes as emanating from his being “mentioned in dispatches”. My name is Chris Bishop the eldest son of Derek Bishop, who sadly passed away on the 7th November 2014 after 7 years with Alzheimer’s, Dementia (Lewy Body & Vascular) and Parkinson’s. I know Dad was apart of the Mt. Suphan mission and I am proud to say that I still have his RAF jumper that I used when mountaineering and climbing as a teenager. I can still remember using his heavy cotton jerkin which was waterproof to a point! I am participating in this years Devizes to Westminster International Canoe race – DW, starting on Easter Saturday, in aid of Alzheimer’s Research UK and in memory of Dad. Who taught me everything I know about life outdoors, angling, shooting and of course mountaineering and climbing. Thank you for that sorry to here about your father! Glad he gave you a love of the outdoors, we are blessed by who we have as parents and role models! Mr “HeavyWhalley”, sir… F.Y.I, I am in the process of setting up a visit to the Avro Tudor site, in the 1 – 7th September 2016 window; under the guidance of a local professional mountain guide. Hopeful of it eventuating, and that I bring back some photos to share. I expect that you seen this? I would have love to come as was planning to go before I was ill a few years ago let me know how it goes? I am away over that period and the area is a bit to hot just now. I may re look at it next year I am fit now and hope the world settles down! Hope you manage to go please keep me updated. Wow, Roger I have just read all these articles by going into Dave Atkinson’s last email re: the Anabasis. I can only commend you on your knowledge of all these events All I can say is incredible. Thank you Roger. Is the headline correct or it was supposed to be ‘British aircraft crash’ ? Anyway, my point was the headline itself. Thanks for the response. The attached a video link of an expedition up to the peak of Mount Suphan, Turkey, by some climbers in 2014. At 6 minutes and 10 secs they come across wreckage of the Avro Tudor. Not to sure if this is the impact site as I’m sure we all all aware that wreckage can move with the shifting movement of the snow. I have just read this in the company of my father Ronald Ellis. He took part in this mission and was part of the second team mentioned that met up with the first team. He was the team doctor. Please give him my regards he must have some story to tell. You must be very proud of him!